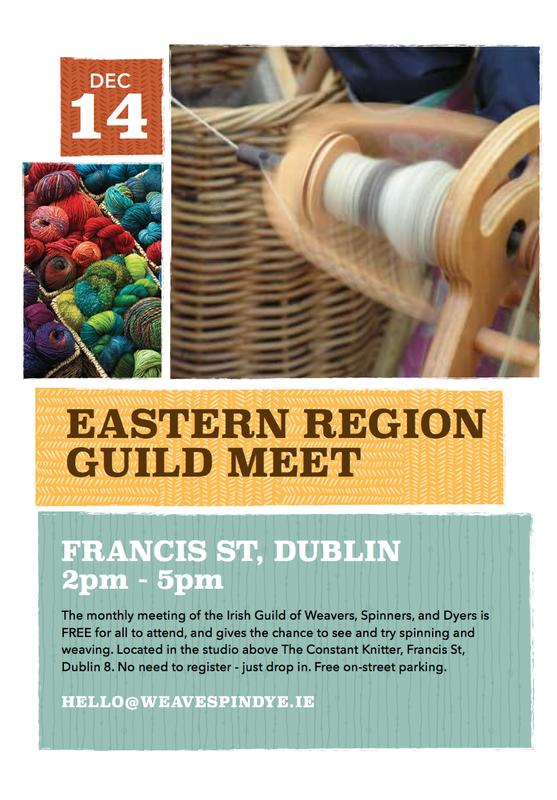 This coming Sunday is the last meeting of the year for the Eastern Region of the Guild. 2-5pm in the studio above the Constant Knitter on Francis St, Dublin. See you there!